Bio – I was born in New Orleans, La. in 1962 and my family moved to Memphis, Tn. in about 1965. I have an older brother and older sister. Growing up in Memphis I went to Snowden Elementary School, Harding Academy and later graduated from Central High School in 1980. In 83′ I moved to Jackson Hole , Wyoming. I worked various jobs, but eventually ended up in real estate. Today I live in Pierre, SD and have called Pierre my home since 1994. I have two fantastic sons that have been the highlight of my life. Today I work as a IS Field Technician for a company based in St. Louis, Mo. I‘ve also run a small business (part time) since 1994 working as a website developer, computer technician, system administrator, software instructor and other computer related endeavors. My hobbies besides ham radio include camping, backpacking and off-roading. 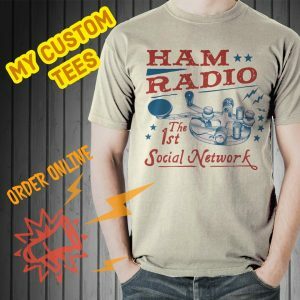 Ham radio is my favorite hobby. I got my first license when I was about 14 years old. My father was a radio and electronics enthusiast. Today I enjoy mobile operating and running the Breakfast Club net from home. I started working with an Icom 7300 earlier in 2016. I’m mainly developing this website around the Icom 7300. I believe SDR will play a significant role in Amateur Radio in the future and I am betting on the Icom 7300 to be popular. I enjoy turning the knobs and adjusting various aspects of a radio, but seeing a waterfall and spectrum scope on a large monitor makes radio come alive for me. I’m a visual person and when I see the signals and the interference around it I understand radio better. I understand filtering better too and can apply it more effectively than doing it by ear or blindly if you will. Blindly tuning up and down a band in a contest is a way of the past for me. I can jump to 10 Meters and see if it’s open. I don’t have to tune around to find out. With a scope/waterfall I can see strong stations, weak stations and noise all around the frequency I’m on. It’s fantastic! P.S. Please visit my YouTube channel Ham Radio with K0IRP.My e-mail address is good on QRZ.com.